The Defence Headquarters (DHQ) says that the leader of the proscribed Indigenous People of Biafra (IPOB) Nnamdi Kanu was not in any military custody. The Director Defence Information, (DDI) Major General John Enenche, addressed a press conference in Abuja yesterday where he denied allegations made by Kanu's brother, Emmanuel, at a press conference in Umuahia recently, where the younger Kanu called on the Military to release the corpse of the secessionist group leader if they have killed him. He alleged that since the military's "invasion" of his brother's house on September 14th, Nnamdi and his parents have gone missing. 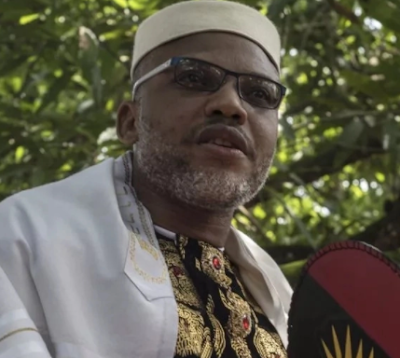 Reacting to the Army spokespersons statement that Kanu is not in their custody, counsel to the IPOB leader, Ifeanyi Ejioffor, insisted that their leader is with the military and that they must produce him.